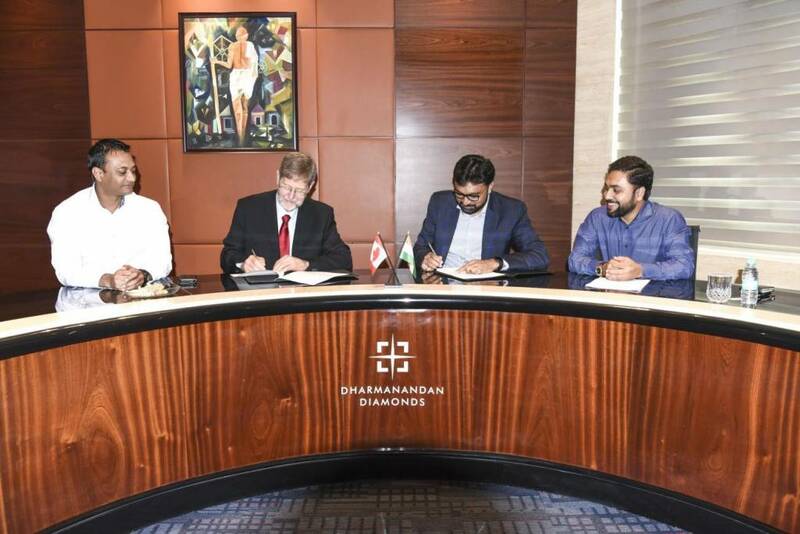 An agreement has been signed between Dharmanandan Diamonds and Saskatchewan’s Mike Botha. From left to right: Shailesh Patel, diamond cutter Mike Botha, DDPL managing director Hitesh Patel, and Vipul Sutariya. A Canadian diamond cutter will soon be bringing his work to the international scene. Under a new, exclusive agreement, India-based Dharmanandan Diamonds (DDPL) will begin manufacturing Saskatchewan cutter Mike Botha’s proprietary cut, Sirius Star. The partnership covers the cut’s seven patented shapes, which DDPL will offer as part of the more than 500,000 carats of polished diamonds it produces each year. With 50 years of experience in diamond cutting, Botha has supported the diamond industry through roles at the Northwest Territories’ Department of Education, Culture, and Employment and Department of Industry, Tourism, and Investment, as well as running Aurora College’s diamond training program in Yellowknife.